We’ve compiled a list of the top 10 coolest apps ever, featuring apps that translate images into text, keep records of your daily life, teach you another language, allow you to turn your photos into pieces of art, and much more. Our recent blog post on ADA Website Compliance discusses how coding and web development services are being used to make internet navigation easier for those who are visually impaired. With apps like Aipoly ($4.99), world navigation is made even easier for those who are visually impaired. The app is able to recognize objects and actions, then audibly translate the information. The system works on mobile devices, security, and robots/industrial machines. It’s faster than the cloud since the deep learning engine doesn’t use bandwidth. It works by running convolutional neural networks on your mobile phone, allowing the artificial intelligence to describe what it sees out loud via your camera. The app can identify three objects every second, and you don’t have to actually take a photo for it to recognize the objects. You can even identify colors, which is a great option since color isn’t something you can identify with any other sense but sight. Eventually, they hope to develop the system to the point where it can understand complex scenes and the position of objects within it. If you need specialized identification for unique objects, Aipoly can learn new objects by typing their description. Over time, the app learns even more about these objects and can become even more specific in descriptions. This app has helped over 200,000 people with visual impairment. It has won twelve national and international awards. It ranks as one of our top 10 coolest apps ever because of how it’s bettering the lives of those who need it. As a company, we try to do the same by helping charitable organizations with their digital marketing and web development needs. Pinterest will be introducing a similarly functioning app that utilizes automatic object detection to visually search objects from the most popular boards on Pinterest. Where the Aipoly app is designed more for functionality, the Pinterest app is used to search products and find where you can buy them. You can visually search for products within a Pin’s image, but it can’t yet be applied to real-time objects around you (though they’re working on that). According to Pinterest, “convolutional neural networks represent images and videos as feature vectors which preserve both semantic concepts and visual information, and allows for fast retrieval when using optimized nearest neighbor techniques”. This may sound like mumbo jumbo, but just be on the lookout for it to be one of the ‘coolest apps ever’ in our next blog post. Prisma (free) is an app that takes your photos and turns them into works of art. Simply take a photo through your phone’s camera, then choose which painting style you want to transform your photo into. You can pick between Comic, Old Fashioned, Mosaic and several others. You can also crop how much of the photo is affected by the filter and the percentage that your photo is art-ified You can check out Prisma’s Instagram page for some museum-worthy creations. Poncho (free) is a ‘wake up weather app’ that lets you know the temperature, humidity and wind for the day. More than just a weather app though, this cartoon-ish interface comes with a hoodie-wearing fox and traffic alerts. Funny gifs and memes make it one of the coolest apps ever and a great way to start your day. Momento (free) takes journals and diaries to the 21st century—but rather than writing out everything you did that day, it compiles your notes and social media posts for the day on your phone. It takes from updates on Facebook, Twitter, Instagram, Swarm (check-ins), Flickr, YouTube, Spotify, Moves, Medium, Uber, Goodreads and Web Feed to create a journal entry that truly reflects your day. If someone tags you in a photo on Facebook, you can have it automatically uploaded to your Momento app. In addition to social media, you can add photos and videos, tag people and places you visit, add keyword entries with tags, and create private notes. There’s local and iCloud backup, so you don’t ever have to worry about losing your entries. The app is locked with a passcode/TouchID as well, so only you have access to it. With the ability to search memories, group moments with events, and create custom reminders, it really is an app that anticipates your every need. Use it as a personal journal, travel journal, or pregnancy journal. This app lands a spot on our top 10 coolest apps ever because of its ability to capture and catalogue the entire scope of your day. Stephen Hawking’s Pocket Universe ($4.99) is an adaptation from Hawking’s book entitled ‘A Brief History of Time’. Imagine theories embodied in a visual and colorful exploration through space and time. Just because you’re not a scientist doesn’t mean you can’t understand the principles that help shape our universe. The app covers six topics, ranging from the Big Bang to Black Holes to Space Time. An integrated glossary makes navigation easy, while a record of your progress lets you know how much you still have left to discover. You even get updates from Stephen Hawking on major scientific breakthroughs! If you’re one of those people who was fascinated by Interstellar and are interested in learning more about the theories behind it, this is the perfect app for you. Carbo ($7.99) brings handwritten notes to the digital age, giving you the freedom to transfer written notes onto your device and edit them from there. The pixel-free technology utilizes a hybrid between bitmap and vector to create a crystal-clear image. Once you take a picture of the note and adjust the contrast, it’s stored at a fraction of the storage requirement for the original image. Other features include the ability to lasso-select any element which can be moved/scaled/removed, make lines thicker or thinner, and use the eraser tool to take out unwanted elements. You can scale to your heart’s desire, and add tags that will help you find the note later on. Add annotations to your images to ensure your notes clearly communicate what you want to say. Loopimal ($3.99) is geared toward teaching children sequences through fun, cartoon animals that dance and move according to the placed blocks at the bottom of the screen. There’s no competitive aspect to the app, and you can’t mess up—it’s entirely for your own enjoyment. Handcrafted animations and sound effects bring life to looped rhythms and movements. Plus, this app works for any language since it’s a non-lingual interface. Maybe not the most complicated app ever, but definitely one of the coolest apps ever. CityMapper (free) is the absolute best app to have for public transportation in major cities, especially if you’re a tourist who’s unfamiliar with the routes. Simply type in your start address and destination address, and CityMapper tells you the routes to take via bus, train, tube, etc. It even gives you a cost and time estimate, so you can budget accurately. The maps are easy to read, and routes are marked in different colors, so they’re easily distinguishable. 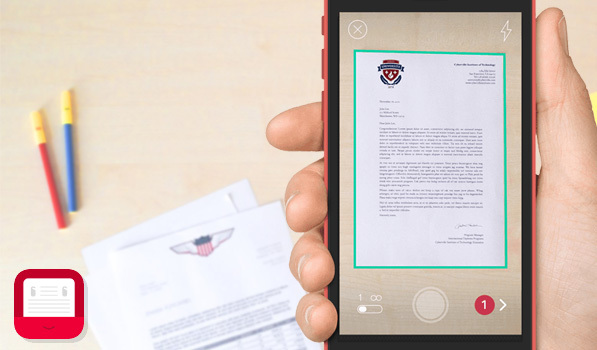 Scanbot (free) is an app that delivers high quality scans with one tap. Automatic capture with 200+ dpi, cropping/optimization, and the ability to share and upload scans instantly are features which make this app one of our top 10 coolest apps ever. Not only does it take a picture of your document, but it also crops and straightens the document so it can apply the filter. Whether you’re scanning documents, receipts, sketchbooks, whiteboards, bard codes or QR codes, the Scanbot can take any surface/image and turn it into an easily alterable and transferable scan. You can take advantage of auto-upload and instant sharing through iCloud, Google Drive, Evernote, Dropbox, Slack, and more. Choose to save your scan as either a PDF or JPG. PDFs let you add notes to a document, sign documents, or highlight important parts. Choose to optimize your scans for black and white, grayscale, or color. Save money on scanners and invest in this free app! If you don’t have the funds or time to take a class but want to learn another language on-the-go, DuoLingo (free) is the app for you. While Rosetta Stone is pricey and inconvenient to use throughout the day, DuoLingo makes it easy to pick up a few words on your lunch break or in between meetings. Animated images make learning easy, and the app’s even been incorporated into classrooms. The app grades you on your performance, then gives you tips on how to improve your score. You get points for correct answers, and you can race against the clock if you have a more competitive personality. New levels unlock different vocab and grammar categories, plus short lessons make information easy to retain. You can take classes in Spanish, French, German, Italian, Portuguese, Dutch, Italian, and many more. There’s even research to back up their app if you’re on the fence. Much like a Snapchat streak, the app keeps track of how many days in a row you spend learning a language. And like a video game, you lose ‘hearts’ when you answer a question incorrectly. Whether you’re a visual or auditory learner, this app has listening, speaking, translating, and multiple choice challenges to keep you engaged. It rounds off our list of coolest apps ever. As a digital marketing agency that specializes in app download advertising, we know how imperative it is that these great apps get the recognition and downloads they deserve. If you have an app that you think deserves a place on our list, contact us so we can learn more about your product and the download count you’re trying to achieve.